A serial killer confounds a small Florida town already burdened with a complacent sheriff, a surgically enhanced Jezebel and a high school peopled by the usual mean girls, hapless faculty and Neanderthal jocks. In Fielding’s latest mélange of suburban dread and mortal jeopardy (Lost, 2003, etc. ), the main theater of action is a high school in Torrance, a sleepy town near Florida’s Alligator Alley. Rochester, N.Y., transplant Sandy Crosbie gamely teaches senior English while the popular girls yawn and the jocks in the back row heckle class fat girl Delilah. Sandy herself recoils at Delilah, daughter of Kerri, the siliconed, lipo-ed, lip-plumped siren who lured Sandy’s estranged hubby, Dr. Ian Crosbie, via Internet, to move Sandy, daughter Megan and son Tim down to this backwater. Ian’s not the first. Sheriff John Weber has intermittently succumbed to Kerri’s charms, escaping his sharp-tongued wife, Pauline, and anorexic daughter Amber. When mean girl Liana disappears, Weber fears the worst: Candy, a runaway teen, had vanished four months before. 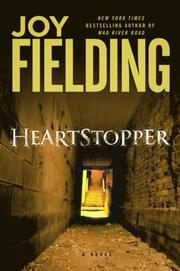 A “Killer’s Journal” excerpt every few chapters reveals that the murderer is targeting “heartstoppers”—i.e., airheads both pretty and cruel. Candy and Liana were chloroformed, brought to the basement of an abandoned, isolated house and eventually shot, with no sexual component. Liana’s body is discovered in a swampy, shallow grave by jocks Joey and Greg, members of a search party. Likely suspects include known wife-beater Cal from California, drama coach Mr. Lipsman, a cat-loving, never-was actor who casts Megan and Greg in his production of Kiss Me Kate, and creepy science teacher Mr. Peterson. Sandy pines for Ian’s repentant return, worries about Megan going too far with Greg and takes some foolish risks of her own while imbibing green-apple martinis. Although the narrative is compulsively readable, the mystery cheats by banishing crucial facts from the consciousness of point-of-view characters. The closing twist relies on readers’ gender assumptions. You’ll be up all night reading, but you’ll hate yourself in the morning.